NIR railcars were British outline but I am confused about how the various BR bogies and bodyshells map to the NIR railcar classes. Is it as simple as all the Class 70 bodyshells are BR mark 1 (flat ends) and all the Class 80 are BR mark 2 (rounded ends, wrap around doors? mark2 2a 2b or 2c?) or does it depend? Are the unpowered bogies B1, Commonwealth or B4? What about the motor bogies? Any bogies swapped around later on? I never really noticed that stuff at the time so just looking for some clarity. The MED and MPD railcars are a very mixed bunch. Some MEDs and all the MPDs and their trailer cars were converted from existing coaches of LMSNCC origin. Other MEDs and trailers were built new to a UTA design. Bogies were basically LMS type with roller bearings. 70 Class power cars were built new to a design similar to LMSNCC coaches, but the trailer cars were converted from UTA and GNR coaches. Bogies on the trailer cars were, like the MEDs and MPDs, basically LMS type with roller bearings. Bogies on the power cars were of a UTA design, and there is nothing similar as far as I am aware. 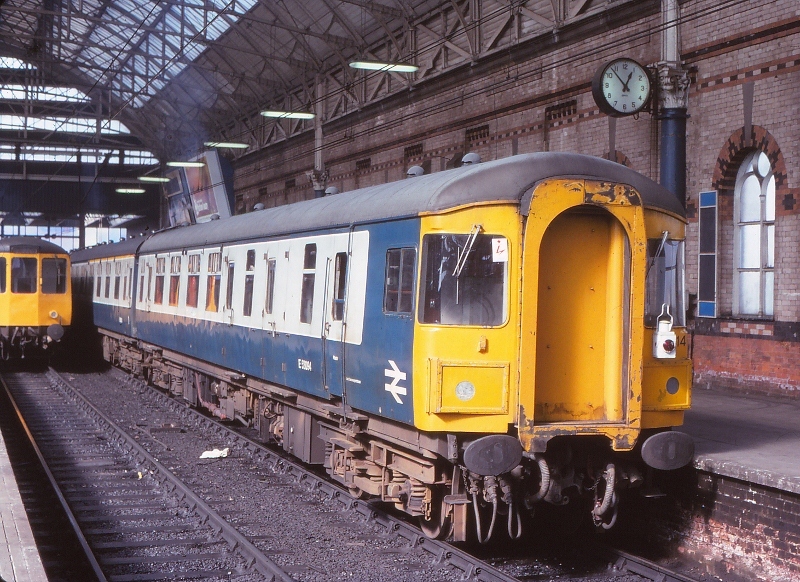 The 80 Class railcars and trailers were built to the BR Mk2b design, with one or two trailers converted from loco hauled MK2c coaches to replace vehicles damaged by terrorist activity. Bogies on the trailers were B4 type, but on the power cars the bogies used were similar to those on the BR Class 73 locos. The 450 (Castle) class railcars and trailers were built to a Mk3 design, mounted on ex BR Mk1 underframes. 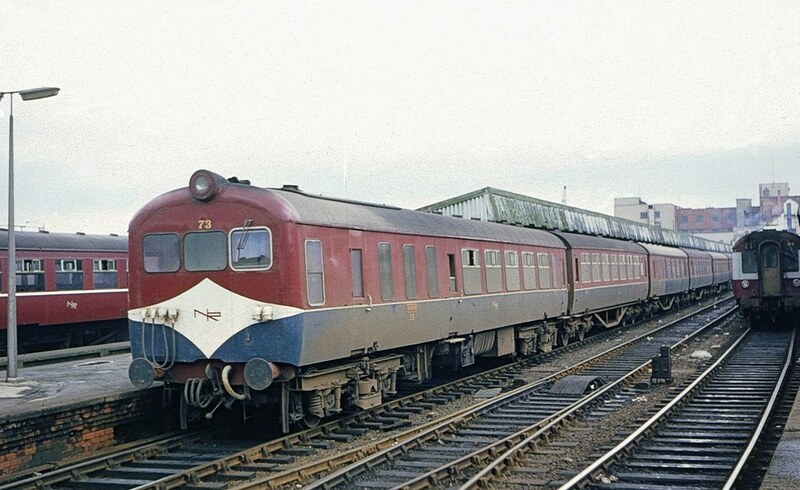 The bogies used were the same as for the 80 Class, with B4s on the trailers, and on the power cars bogies that were similar to the BR class 73 locos were used. Bogies on the power cars were of a UTA design, and there is nothing similar as far as I am aware﻿. Looks like I have started the Class 70 build! The 70 Class power car bogies certainly bear a resemblance to the B5 bogie in some respects. The B5, with modifications, would probably make a passable representation in the absence of anything better for a model of a 70 Class.